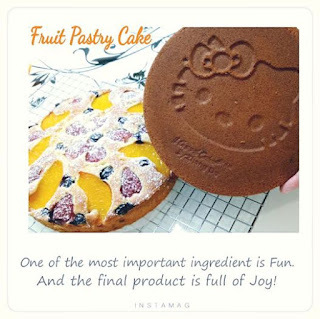 I was so eager to try out my new Hello Kitty baking pan and just right that I planned to bake this Pastry Fruit Cake. This is a heavy batter cake and I am happy to see the Hello Kitty imprint so visible. Glad that I bought this baking pan!